Date 12/11/2017. 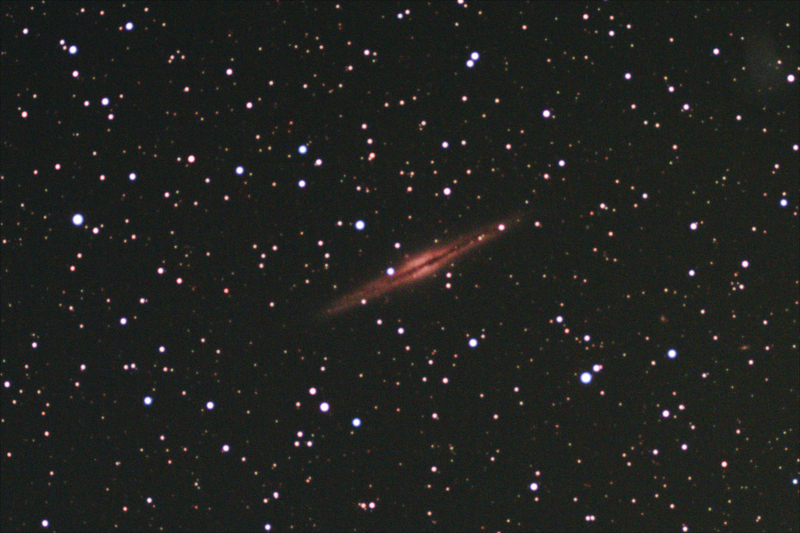 NGC 891. 2x drizzled. Processing: Calibration, registration, integration and basic image stretching all done in DSS. Some tweaking done in GIMP. Some issues with the flat (not fully correcting). The frames were is 2x drizzled. I am pleased with NGC 891, beautiful object with lots of small details. Unfortunately the scope was still cooling down during the imaging and the last 20 frames or so were out of focus. This has given some bloated stars. I think I will stack the first 20 frames and see what I get.